With the Horsham Fake Festival just weeks away, we’re getting pretty excited about welcoming a host of local music talent at The Holbrook Club. If you didn’t know already, we’re hosting Horsham’s first ever Fake Festival on Saturday 4th June from 12.30pm-11pm with a huge array of musical talent taking to the stage. With some of the UK’s biggest tribute acts confirmed, including The Jam’d and Flash: A Queen Tribute, it’s also a great opportunity for some of Horsham and the local area’s brightest musical talent to impress our guests and showcase their hits. One of those local bands due to perform on the day are Borrowed Time; a classic rock’n’roll group who are hoping to set the stage on fire (not literally). Tell us more about Borrowed Time and how you got started in the music industry. Borrowed Time was started in 2009 by Martin Ashton and Paul Corrosion as a little blues band for playing live and along the way we picked the waifs and strays that make the current line up. 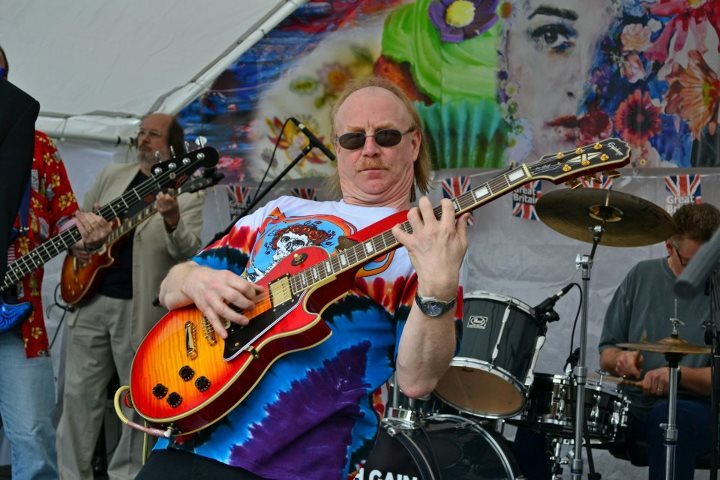 We have grown our repertoire beyond blues and into classic rock. Borrowed Time has played a diverse array of gigs including the Crawley Irish festival, The Queens Jubilee in Horsham town centre and all sorts of pubs and charity events. We love being onstage; the energy, the immediate feedback and those moments when you know you’ve all hit a sweet spot. We haven’t played an event quite like this one so we are absolutely stoked to be on the bill because it is a dedicated music festival. Madness, Sonny Boy Williamson, Led Zeppelin and David Bowie. That’s difficult as we are inspired by all genres of music, but the one to save from the crashing waves is Carole King’s Tapestry. We can’t wait to see Martin, Paul and the rest of the band take to the stage on 4th June! Don’t forget, there’s still time to enter to win tickets to the festival here. Plus, why not show your support for the festival on our Facebook page? Posted in All News, Club News, Horsham Fake Festival.